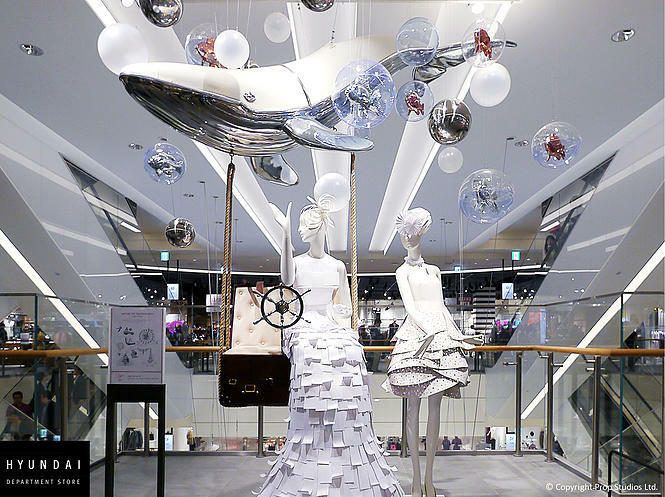 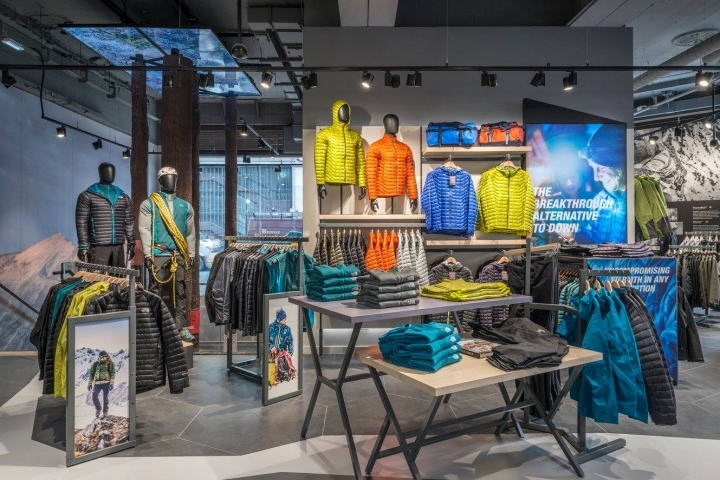 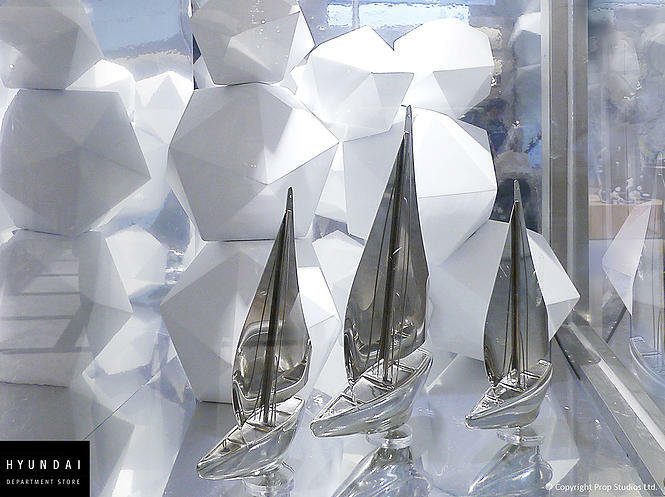 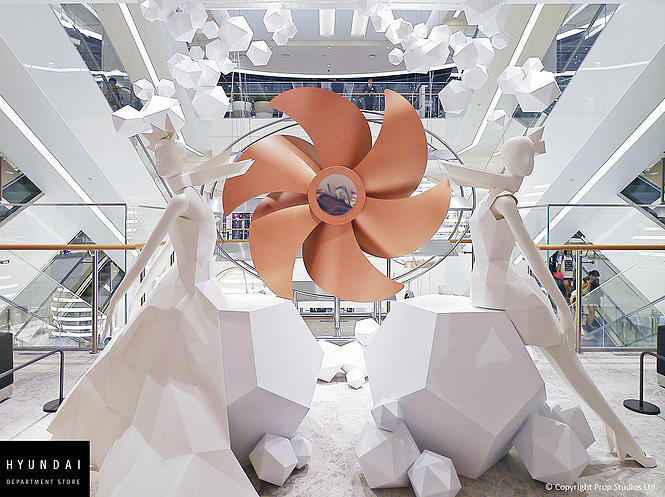 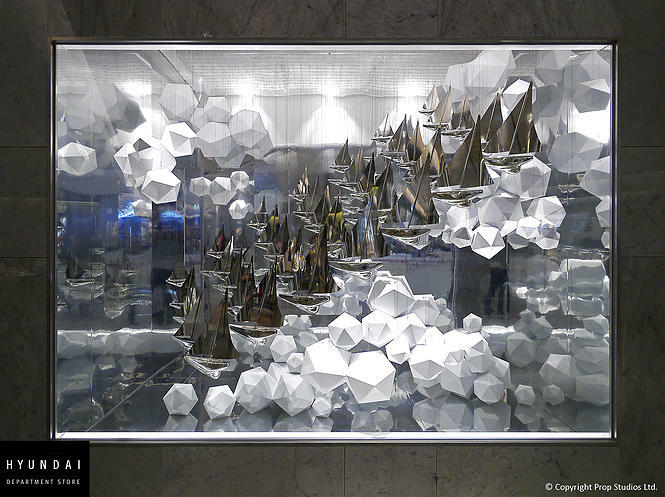 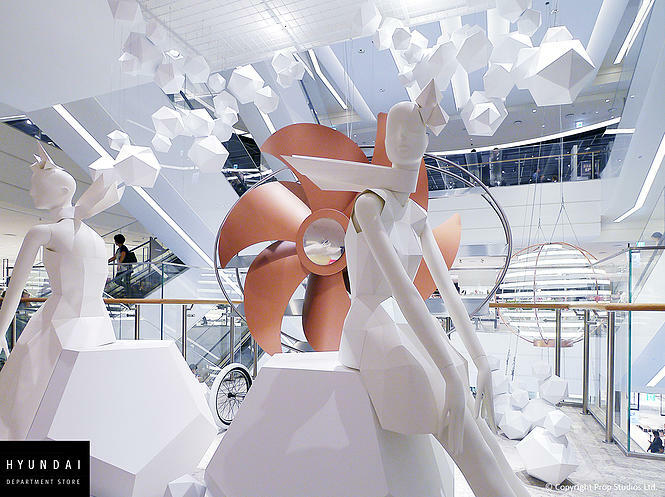 To celebrate the opening of Hyundai Department Store in Pangyo, South Korea, Prop Studios was asked to originate designs and provide technical drawings for a variety of bespoke installations and window schemes. 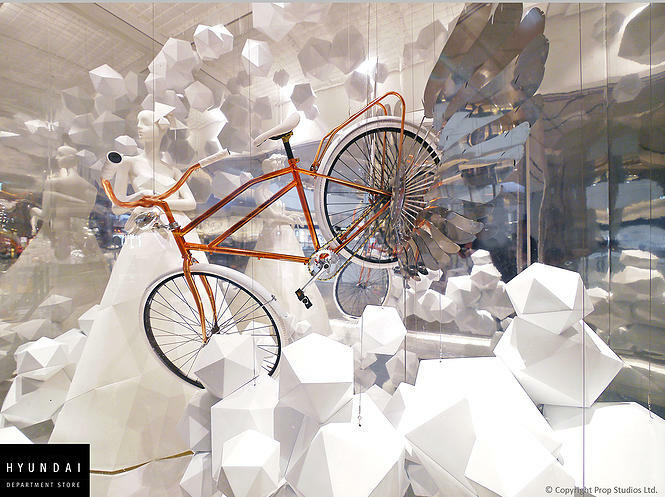 Inspired by Around the World in 80 Days, Prop Studios translated this into a visionary world full of innovative inventions, hybrid vehicles and whimsical rides, all with a modern twist. 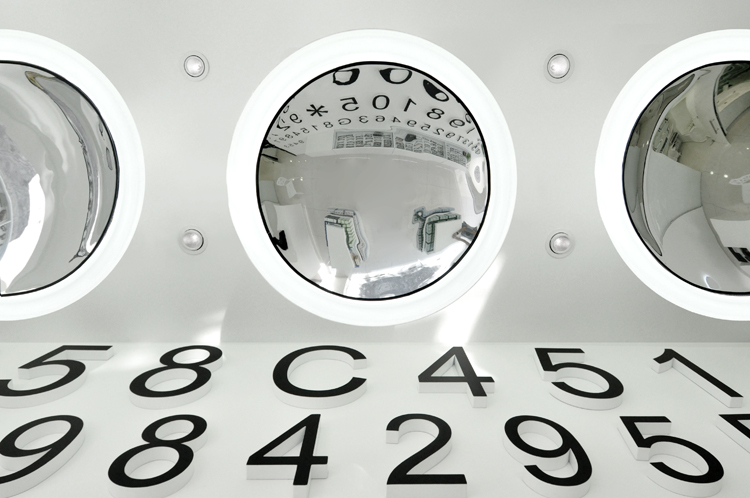 Inside the store, customers are immersed in a spectical of a fictional voyage through wonderful oddities of disproportionate scales. 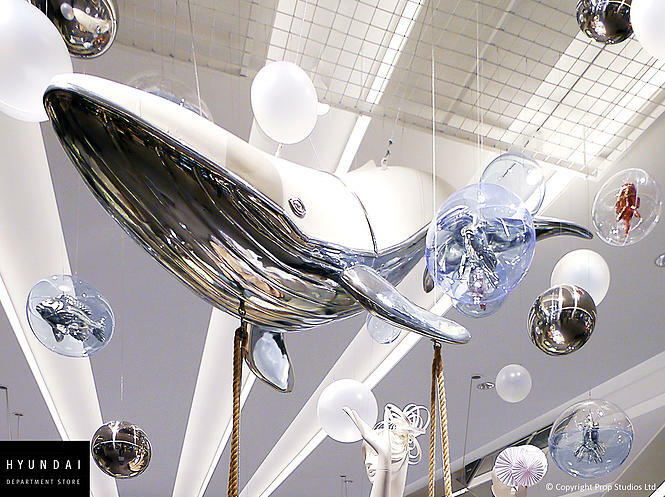 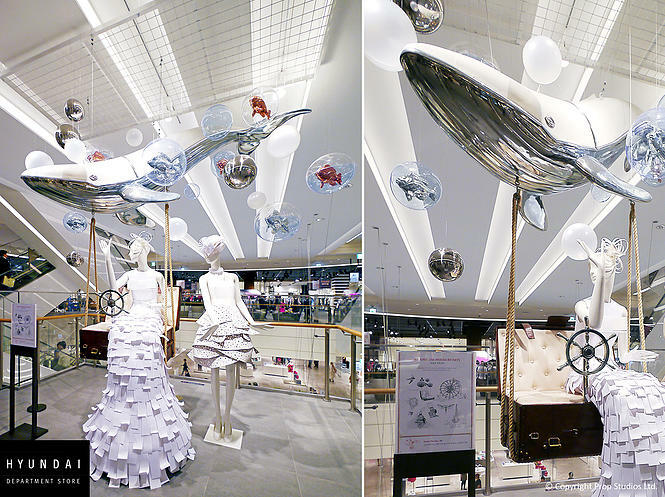 Inspired by adventures of the sea, Prop Studios created a leather whale that's steered by a mannequin and accompanied by fish encased in acrylic bubbles. 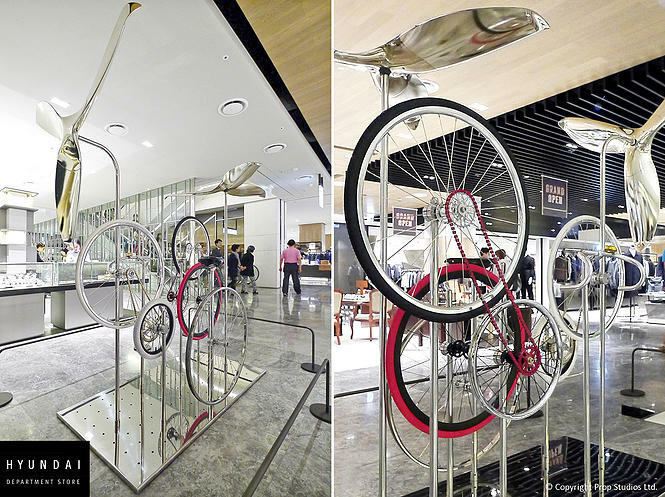 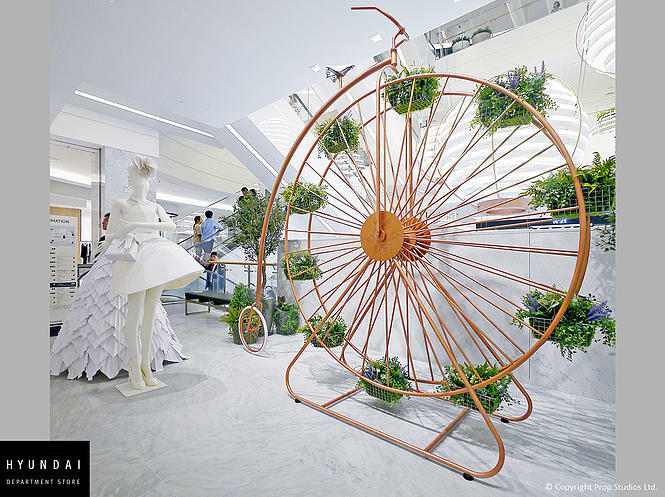 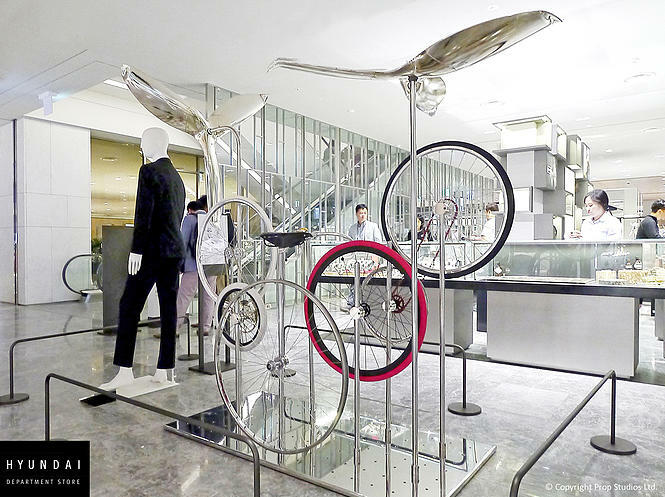 In other parts of the store, weird and wonderful vehicles are the centrepieces to elegant mannequins, including a giant rose gold flying propeller, delicate unicycles with silver wings and a hybrid Penny Farthing and Ferris equipped with plants and a leather seat. 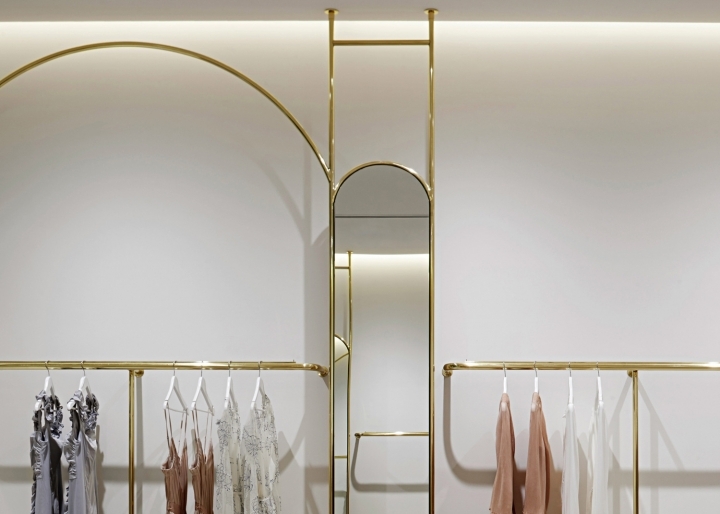 The window scheme was designed to be extremely high end, furnished out of luxurious materials and to showcase unforgettable design. 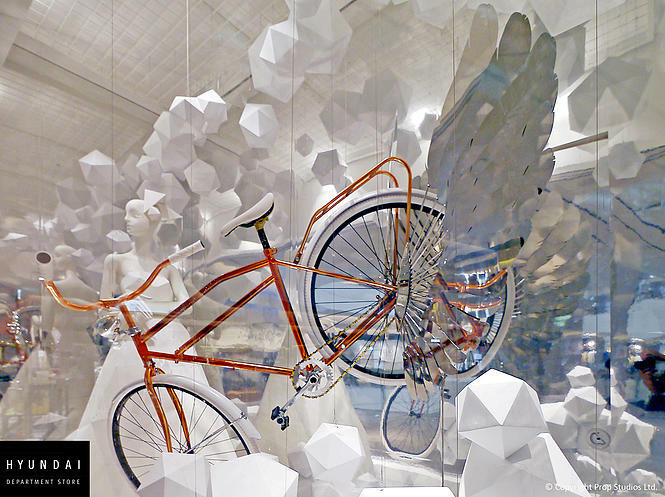 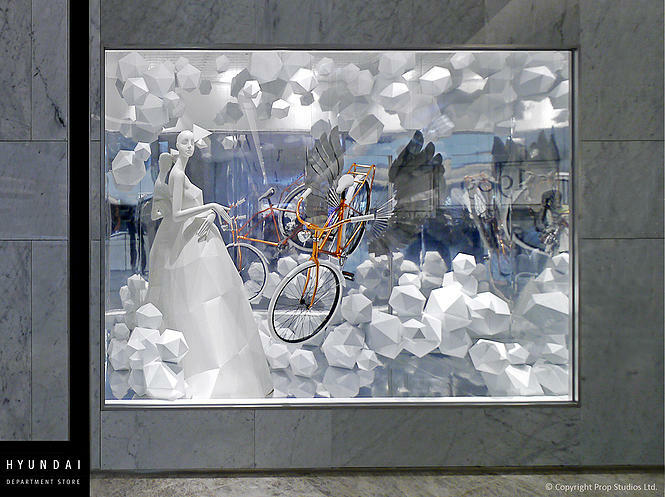 To capture the imagination of Hyundai customers, Prop Studios produced a bespoke rose gold bicycle with contrasting silver wings that's suspended in a sky of geometric clouds.